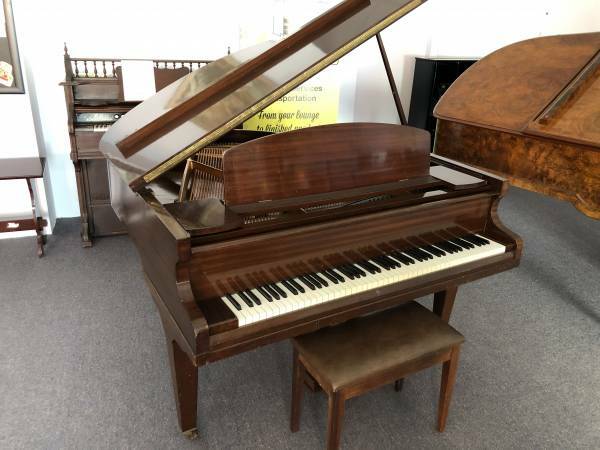 Just traded in on Saturday and assembled on the floor, is another small English Challen Baby Grand piano, appearing similar to the one in this photo. The piano was traded in on an upright piano. Will be tuned in a week or so and will retail for $3300. More details to come on this piano and photo will be uploaded soon.